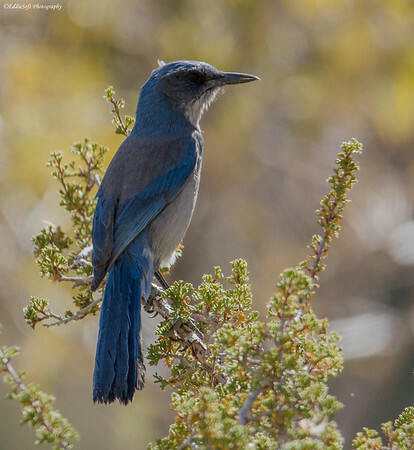 This particular specimen is a Woodhouse’s Scrub-Jay. Although not a new bird to my list, having appeared back in June ’17 (link here), I still think it is a pretty cool find. 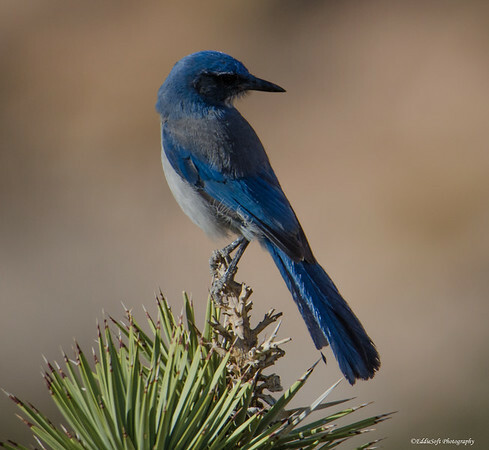 The Scrub-Jay species was split into three groups a few years back – the California Scrub-Jay, the Mexican Scrub-Jay and, of course, the Woodhouse’s. 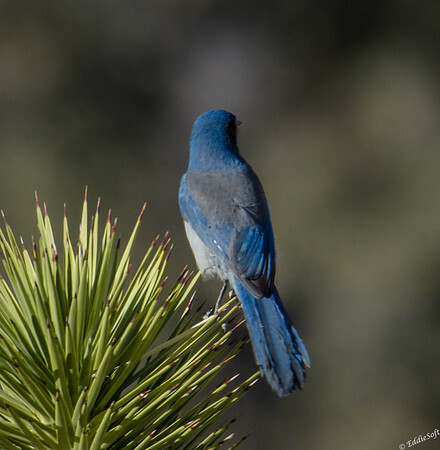 Species splits always gets birders excited since it brings with it the opportunity to increase their lifer bird count. Unfortunately, I still do not have the other two and thus the split has not resulted in any stat padding. 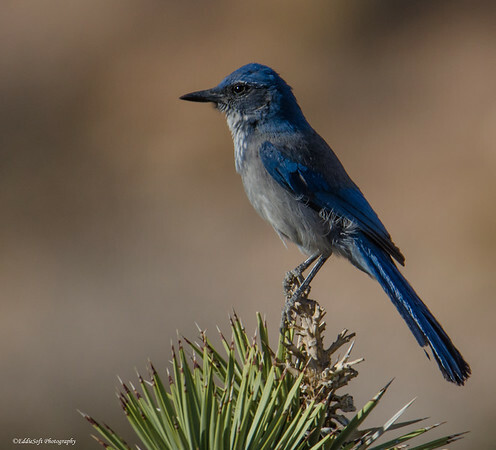 The pictured Scrub-Jay was found at the Red Rock Canyon Overlook pull off – same place where the Rock Wren was hanging out making for an easy +2 if you still need those checked. It was hanging out at the tops of trees and tall plants surveying the killing zone. Pity the lizard or small insect that unknowingly ventured into this area. Not much else to really provide in terms of interesting facts. 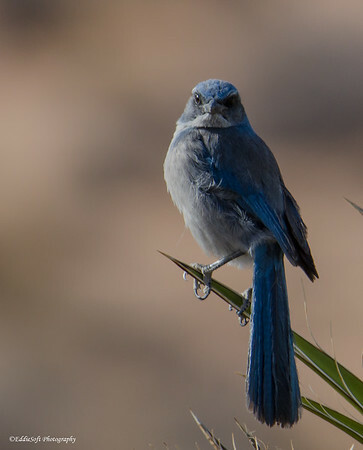 They are deemed “mischievous” by Cornell which shouldn’t really be a surprise since they are part of the Jay family which includes one of my top five hated birds, the Blue Jay. On the other hand, Ron probably has this one on his top five favorite birds list solely based on their propensity to eat ticks off of deer. The enemy of my enemy is my friend. Time to go salt the driveway – can’t have my own dogs laughing at me.